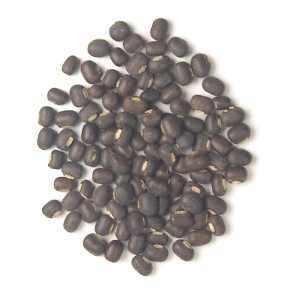 urad dal = black lentil = black gram = kali dal These lentil-like beans have black skins covering creamy white interiors. Whole urad dal derive their strong, earthy flavor from the black skins and are often used in curries. Split urad dal retain the skins and also have a strong flavor. Skinned and split urad dal are creamy white and somewhat bland.